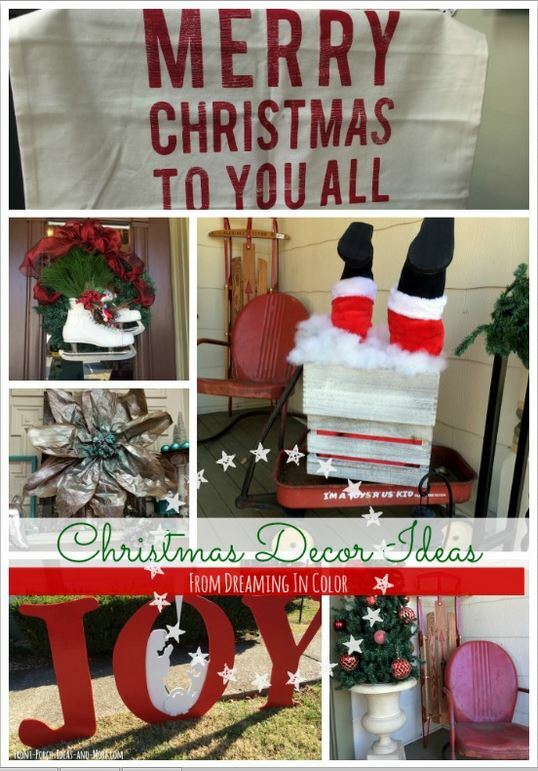 We are excited to bring you Christmas decor ideas from our friend, Deneen, the owner of Dreaming In Color in Murfreesboro, TN. 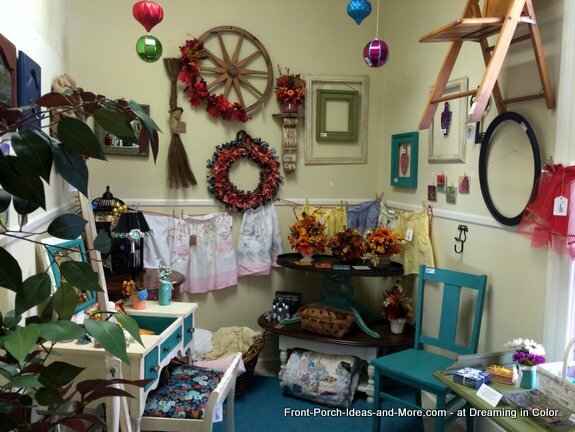 Deneen's shop is celebrating its first anniversary and what a beautiful place it is for handcrafted gifts, beautiful furniture, vintage items and painting classes. 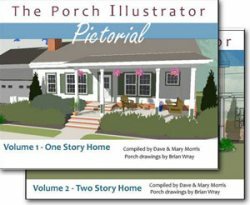 We start with the front porch and then we take a tour inside. From the beautiful poinsettias on the porch steps to the charming ice skate wreath on the front door, Dave and I were thrilled we got to visit Deneen's shop. Ready for some Christmas decor ideas? 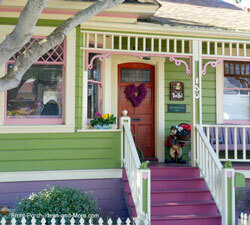 Dreaming In Color is located in a beautiful home from the 1800's. 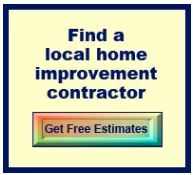 Deneen said that this home has been wonderfully preserved even down to the paint colors. 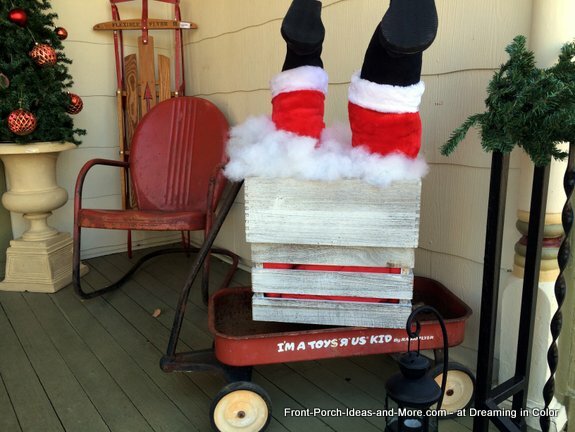 The porch is a delight and we want to show you how Deneen has it decorated for Christmas. 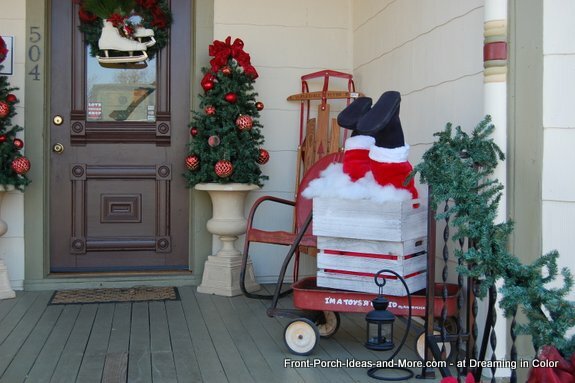 Walking up the front porch steps, the first thing that caught our eyes was this adorable Santa Claus that Deneen made. Or should I say "Santa Legs"? Take a closer look. She used Santa stockings stuffed with half of a pool noodle and then some fiberfill to fill out the legs. Then she added slipper boots. Santa's legs are in the "chimney" which is two crates that are filled with red material (at the bottom) and fiberfill at the top. Really looks like Santa heading down the chimney. Very adorable. Deneen is super creative. 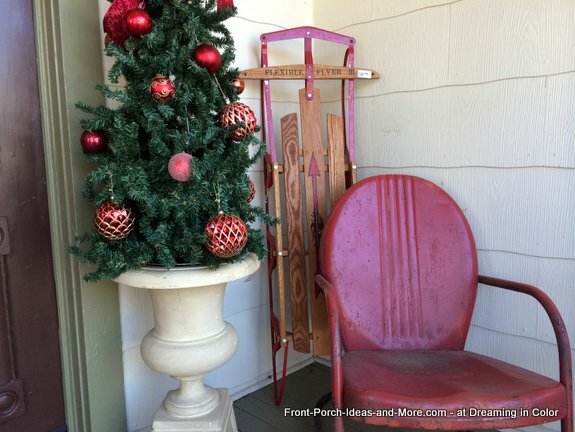 In the corner near the front door, Deneen created this pretty Christmas vignette using a vintage sled, red metal bouncer and a cute Christmas tree simply decorated. 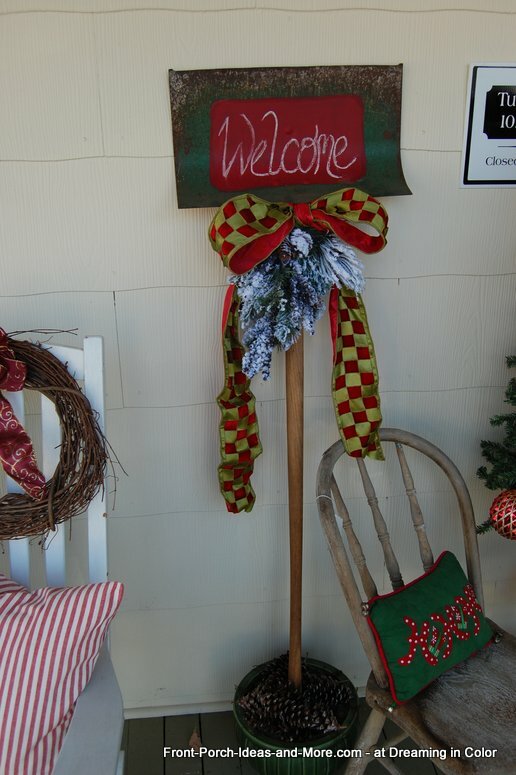 Look at this vintage snow shovel that Deneen painted and decorated for Christmas. Do you have something vintage in your attic or shed that you could re-purpose for Christmas? 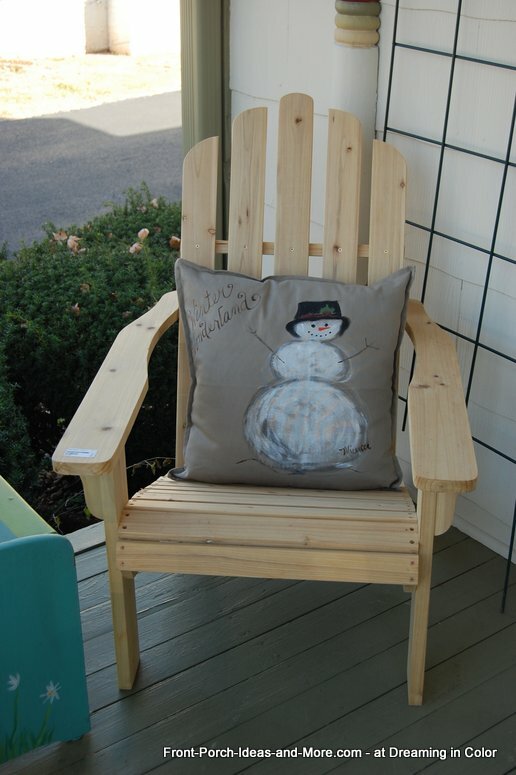 Christmas decorating tip: make a snowman pillow! I love how the words "Winter Wonderland" were painted. You could do this with a marker, too. 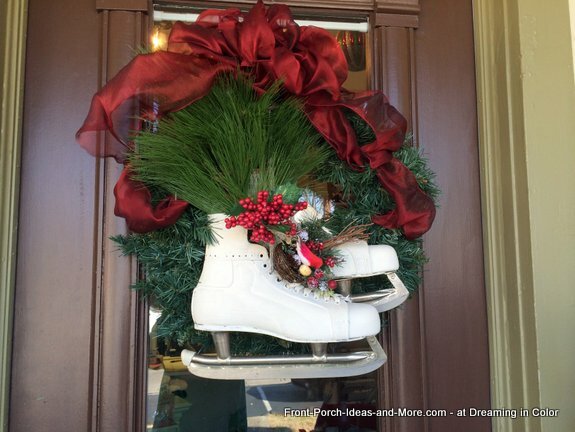 Dave and I love this wreath with the pair of vintage skates. The skates were black originally and Deneen painted them with white chalk paint. Very eye-catching, don't you think? 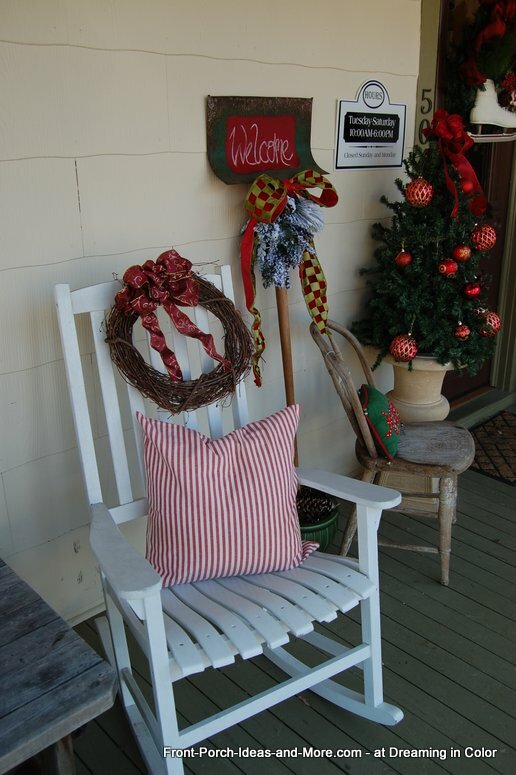 An easy way to decorate a white rocking chair - a red and white ticking pillow and a grapevine wreath with a beautiful ribbon on it. 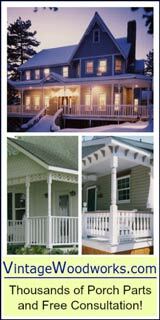 How might you add a pop of color to your porch? Watch our fun video! 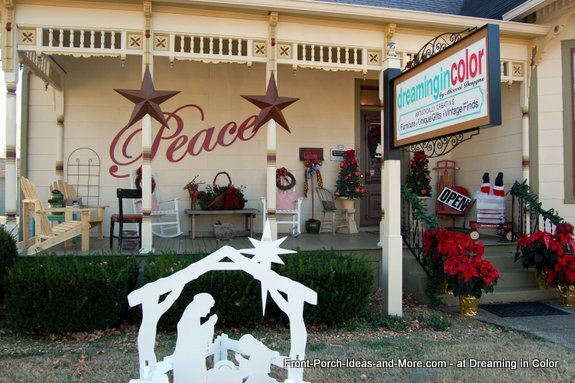 Deneen tells about her shop and explains how she decorated her store's porch for Christmas. 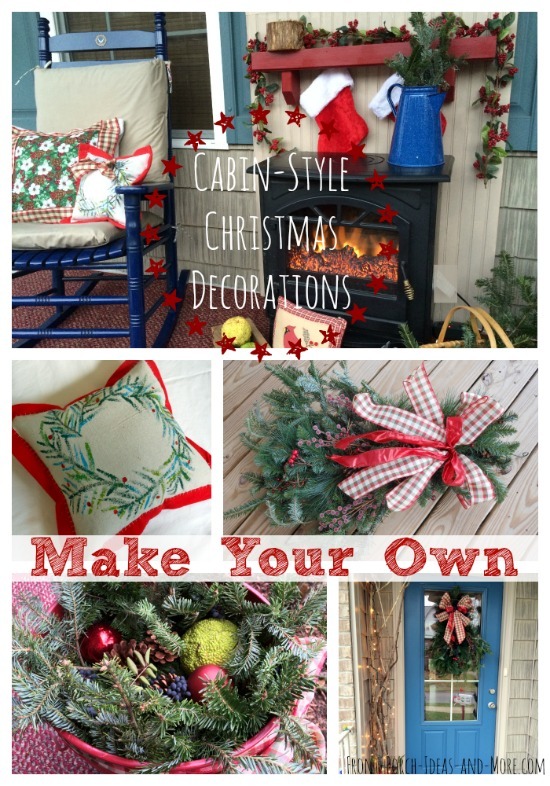 More Christmas Decor Ideas Inside! Walking inside we saw this beautiful garland that spells B-E-L-I-E-V-E. 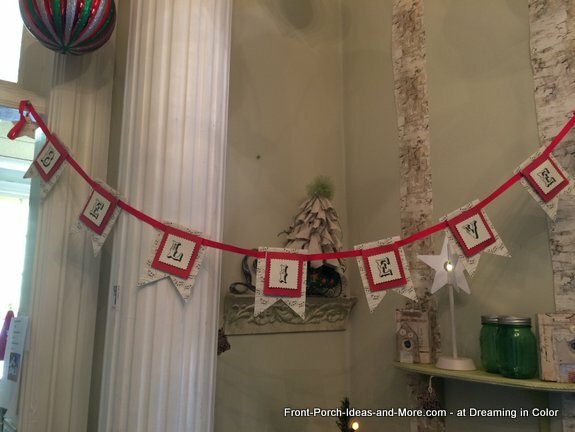 This makes me want to make more lettered garland for our porch like we did for Thanksgiving. How about you? A very festive feeling inside. 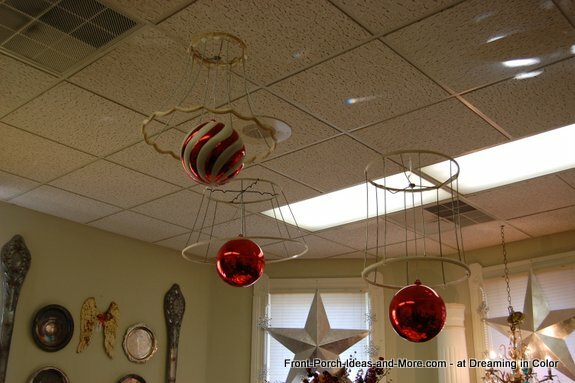 See the pretty ornaments hung from the ceiling? 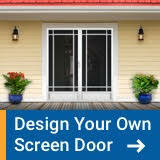 Note: That's an idea you can also do on your porch like this example. 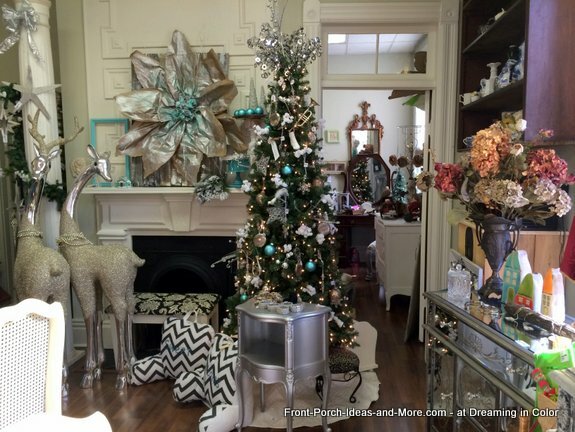 Almost like a Winter Wonderland - this room in Deneen's shop is beautifully decorated in silvers and blues. Deneen made the poinsettia on the fireplace out of kraft paper and spray paint. Can you imagine taking something so mundane as kraft paper and turning it into something so beautiful? What a sweet idea for a music lover. 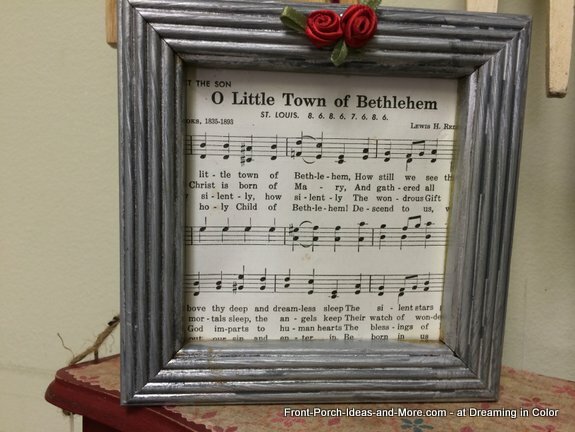 Frame a bit of Christmas carol sheet music. This was beautifully done in a silver frame and rosette at the top. 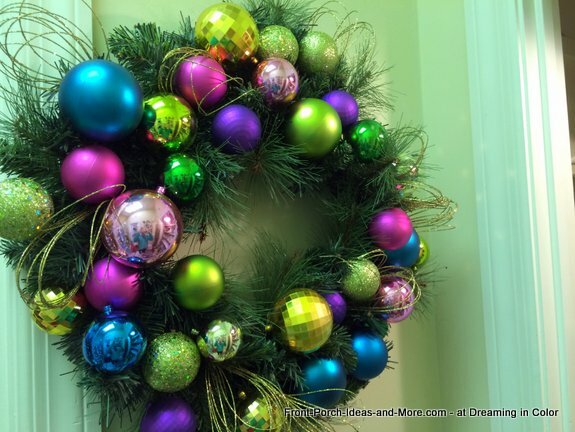 This gorgeous retro wreath takes me back to my childhood - sparkly ornaments and greenery. Just love how festive this is. 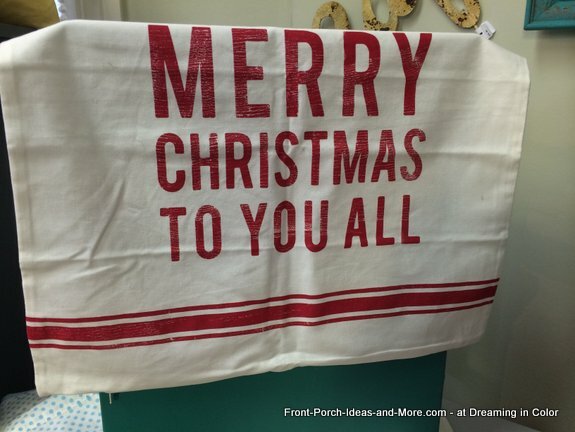 Fresh, sweet and festive: stencil or write your greeting on a tea towel. Or stop by Deneen's shop to pick up one like this! What a novel idea. Hang uncovered lamp shades from the ceiling. Deneen says she keeps these up year round and just changes the seasonal decorations. 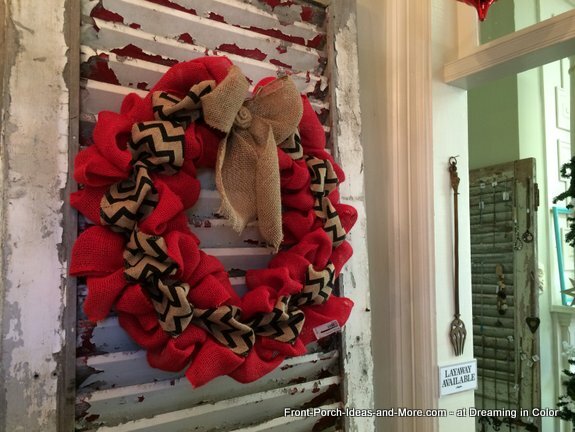 Such beautiful textures between this vibrant burlap wreath and the old shutter from which it is hung. 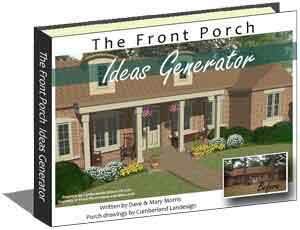 Can you envision something like this for your porch? 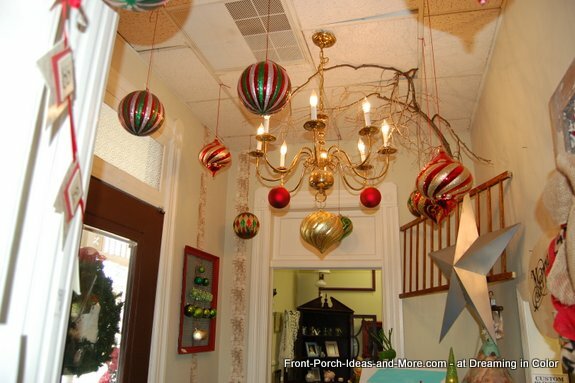 We hope you enjoyed the Christmas decor tips from Deneen's shop. 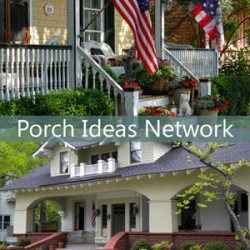 We hope these ideas inspire you to decorate your own porch, too! Deneen has been an artist since she was a child. Deneen says she has been preparing to be a shop owner all of her life and now her dream has become true. 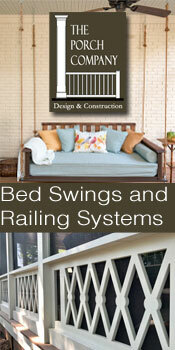 She opened her shop just a year ago in a beautiful historic 1800's home - with a fabulous porch. Her shop is the home to other local artisans as well. 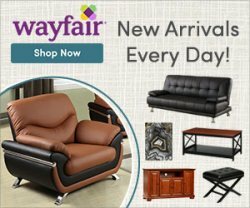 Visit Dreaming In Color for unique vintage and artistic gifts, furniture, design services and painting classes. 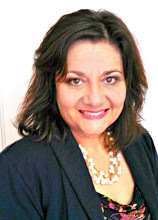 Stop by to tell Deneen hello. 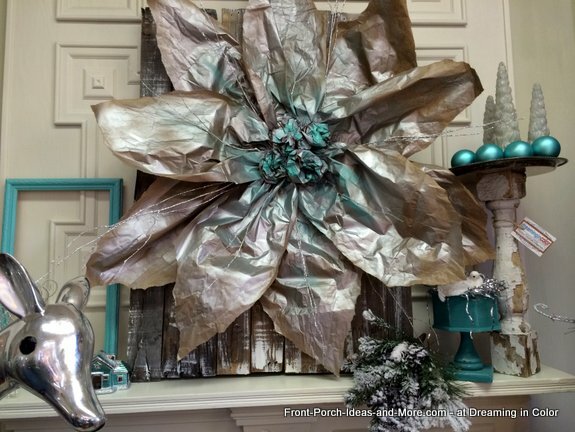 We are happy we can share these Christmas decor ideas with you. Dave and I enjoyed decorating our front porch this for Christmas, too. We made many of our outdoor Christmas decorations. Please stop by and see.